SSL encryption is fast becoming a web standard – and now our clients hosted with SiteGround ( that’s about 60 per cent of you) can take advantage of it without breaking the bank. And to help you keep up with the latest standards we’re now offering free SSL Certificates subject to a small set-up cost. Heart Internet clients can also have free SSL and setup when you upgrade to SiteGround. Briefly, it makes the connection between your website and the people who use it (your customers!) encrypted. So what, I hear you cry? I’ve done a comprehensive post on the Moghill site that explains what it is and the benefits. You can see that here: Moghill SSL blog post. It speeds up your website. Dramatically. If you have an e-commerce site or collect customers’ data you absolutely should be using SSL encryption on your website. Increasingly, SSL is expected on online shops and any site that deals with personal data. You are legally responsible for your customers’ data, and there are big fines for data breaches. Why are we pushing SSL? Yes, we admit, we are pushing this as much as we can and that’s because it’s important. Soon, website visitors will be warned their connection is insecure when visiting websites that don’t use SSL. Any website that don’t use SSL will be at a disadvantage. We don’t want this to happen to you, so we’re encouraging SSL as much as we can. Until now, setting up SSL has been an expensive business, time-consuming to set up and certificates incurred an annual renewal fee. Earlier this year, free SSL certificates became available for the first time, and SiteGround provided us with a simple way to install them. We started with this site – you should see the green padlock in the address bar. We have spent the last three months testing the service, and refining the process of adapting an existing website to work over SSL and we have now converted around a dozen websites. And since April we have included free SSL and set up with every new website. We can now offer a free SSL Certificate and install it on your site for a one-off set up fee – usually £80, depending on size and complexity of your website. This is available to all clients hosted with SiteGround – that’s any site built before mid 2014 or upgraded since. If your site is hosted with Heart Internet we are offering free SSL certificate and setup if you upgrade to our SiteGround service for a limited time. 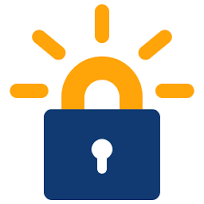 Certificates are issues free through the Let’sEncrypt project and renew automatically with no fee. To enquire about SSL for your website, please open a support ticket, selecting the SSL request option, and we’ll get back to you. *Free SSL is only available for clients hosted with the SiteGround service, but upgrades are available. Just open a support ticket and we’ll provide the best price we can.